We deal with genetic disease every day in our practice in pure-bred, cross-bred, and mixed-breed dogs and cats. There is a general misconception that mixed-breed dogs and cats are inherently free of genetic disease. This may be true for the rare breed-related disorders; but the common genetic diseases that are seen across all breeds are seen with the same frequency in mixed-breed dogs and cats. There are a growing number of breed-specific genetic tests available for pure-bred dogs. 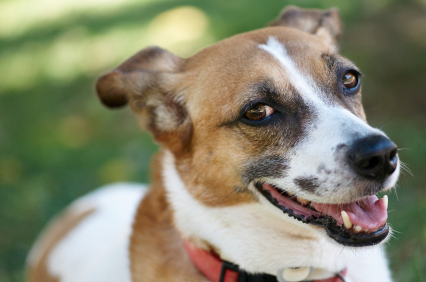 How many old mixed-breed dogs do you have on NSAIDs versus pure-bred dogs? There is no difference genetically between an old pure-bred dog with hip arthritis and an old mixed breed dog with hip arthritis. They both have hip dysplasia. The pure-bred dog may have received the label many years earlier due to early age screening, but the disease process is the same. We genetically counsel owners of large-breed puppies to feed lower calorie foods to provide for a slower, more uniform growth rate that does not contribute to the development of hip dysplasia. Autoimmune thyroiditis is the cause of primary hypothyroidism in dogs. The phenotypic test to identify affected dogs is thyroglobulin autoantibodies (TgAA).1 Based on thyroid profiles run at the Michigan State University DCPAH, 10.7% of 55,053 mixed breed dogs tested affected for autoimmune thyroiditis. The average frequency of affected in pure-bred dogs is 7.5%. Mixed-breed dogs often receive health tests only after they have started showing symptoms of illness. This does not mean that mixed breed dogs are more prone to autoimmune thyroiditis. They are more likely being tested due to clinical signs, while a percentage of pure-bred dogs are undergoing pre-breeding screening. However, these results show us that this hereditary disorder is seen frequently in both pure-bred and mixed-breed dogs. As discussed in the previous hour, the most common feline hereditary disease is feline lower urinary tract disease (FLUTD or FUS). This, and feline diabetes are seen most frequently in mixed-breed cats, though some pure breeds have an increased prevalence.2 Autosomal dominant polycystic kidney disease (PKD) is also occasionally seen in clinical practice in mixed-breed cats with Persian or Himalayan ancestry. Breed-specific genetic diseases tend not to spill out into the mixed-breed populations. Exceptions to this however, are ancient mutations that occurred before the separation of breeds. These disease-causing genes mutated so long ago, that the mutation (and its associated disease) is found in evolutionary divergent breeds. The same ancestral autosomal recessive mutation for the progressive rod cone degeneration (prcd) form of progressive retinal atrophy (PRA) is found in the American Cocker Spaniel, American Eskimo Dog, Australian Cattle Dog, Australian Shepherd, Chesapeake Bay Retriever, Chinese Crested Dog, English Cocker Spaniel, Entelbucher Mountain Dog, Finnish Lapphund, Golden Retriever, Kuvasz, Labrador Retriever, Lapponian Herder, Norwegian Elkhound, Nova Scotia Duck Trolling Retriever, Poodle, Portuguese Water Dog, Silky Terrier, Spanish Water Dog, Stumpy Tail Cattle Dog Swedish Lapphund, and Yorkshire Terrier.3 This list continues to grow as more breeds are discovered with the same defective gene. The question is not, "Which breeds carried this defective gene during their development", but "Which breeds did not lose this defective gene during ancestral development." It is also not surprising that prcd-PRA affected dogs (who must receive the defective gene from both parents) have been identified in Labradoodles (Labrador Retriever x Poodle crosses), Goldendoodles (Golden Retriever x Poodle crosses) and Cockapoos (Cocker Spaniel x Poodle crosses). The most common hereditary diseases occur across all pure-bred, mixed breed, and designer bred dogs. These include cancer, eye disease, epilepsy, hip dysplasia, hypothyroidism, heart disease, autoimmune disease, allergies, patellar luxation, and elbow dysplasia. Labradoodles are being diagnosed with hip dysplasia, elbow dysplasia, and inherited Addison’s disease; all recognized disorders in both parent breeds. 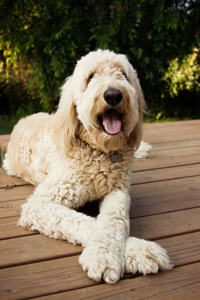 The Goldendoodle, a "designer breed," is a cross between a Standard Poodle and Golden Retriever. The production of designer breeds – planned crosses between two breeds to produce offspring has become a growing trend in commercial dog breeding. Puggles, Yorkipoos, Cavishons, and Labradoodles, to name a few are all coming into our clinics. Owners believe that these pets will be genetically healthy because they are cross-bred. As we treat these patients, we know that this is not the case. Therefore, the discussion is no longer between pure-bred and cross-bred, but between purposely-bred and random-bred dogs and cats. There is not much that we can do about genetic transmission in randomly bred animals, but for purposely bred animals, breeders must use due diligence to prevent inherited disease. Responsible breeders perform genetic testing of parent breeding stock for breed-susceptible disorders. Official test results should be made available to prospective breeders, and the pet and breeding-stock purchasing public. This is facilitated through open health databases and genetic registries. It doesn’t matter whether a breeder is a large commercial breeder, or only breeds once. It is no longer acceptable to say that genetic disease "just happens.” In today’s environment, not testing for documented breed-related hereditary diseases is irresponsible and unethical breeding. There are several genetic registries that have been established to assist breeders and owners with genetic disease control. The Canine Eye Registry Foundation or CERF (www.vmdb.org/cerf.html) is a closed database showing only normal eye examination results by ACVO boarded veterinarians. The not-for profit Orthopedic Foundation for Animals (OFA: www.offa.org) has semi-open registries for hip dysplasia & Legg-Perthes disease, elbow dysplasia, autoimmune thyroiditis, congenital cardiac disease, patella luxation, deafness, and several other genetic disorders. In addition, all normal CERF examination results are automatically sent to, and included in the OFA database. Some of the Optigen (www.Optigen.com) tests, if contracted by the parent club, are also automatically sent to CERF and OFA for inclusion in their databases. It is only through the open reporting of affected dogs and cats that knowledge of disease risk can be identified through the test results or health status of close relatives. It is important that as veterinarians we encourage open reporting of health results by counseling breeders to initial the boxes for open disclosure of test results on the OFA submission forms. For many breeds of dogs tracking hip dysplasia for example, over one-third of the applicants check the box on the OFA form for open reporting. The days of stigmatizing conscientious, health-testing breeders who have produced dogs or cats with hereditary disease are gone. No one wants to produce affected offspring from their matings, and no one should be blamed if this occurs (unless the breeder is not doing the recommended health testing). It should be everyone’s goal to produce healthy offspring, but this is not possible if the only available health information is about normal dogs and cats, but not abnormal dogs and cats. The Canine Health Information Center or CHIC (www.caninehealthinfo.org) is a portal into the OFA health database that has been established by the AKC Canine Health Foundation and the Orthopedic Foundation for Animals. National parent clubs determine the testable genetic disorders for their breed. (For example: hip evaluation, CERF examination, and thyroid testing.) Owners and breeders can search online for dogs and view their test results. If a dog completes the recommended testing panel, it receives a CHIC number regardless of whether it passes all of the tests. CHIC is about health consciousness, not health perfection. As more testable disorders are identified, few dogs will be normal for all tests. A similar listing of tests is not currently available for cats, however breed related diseases are found on the Feline Advisory Bureau (FAB-UK) website: www.fabcats.org/breeders/inherited_disorders. If a client is contemplating breeding their dog or cat, they can look up the recommended genetic tests to perform in their breed. Veterinarians can also assist prospective breeders by looking up and discussing the genetic disorders, recommended genetic tests, and appropriate age for testing. Prospective breeding dogs and cats (in either pure or cross-breeding) can be researched, and their genetic test results, as well as that of their close relatives can be studied. Open registries require an atmosphere of cooperation and understanding between breeders, for the benefit of the breed. Breeding practices do not cause defective genes. If breeders are reluctant to identify affected individuals, then the usefulness of open registries will be limited. Breeders are the custodians of their breed's past and future. "Above all, do no harm" is a primary oath of all medical professionals. Genetic tests are powerful tools, and their use can cause significant positive or negative changes. Breeders should be counseled on how to best utilize test results for the best interests of the breed. Breeders, veterinarians, and breed organizations must educate the general public of the need to check for verification of health testing results prior to their purchasing a dog or cat. As this happens, the overall genetic health of purposely-bred dogs and cats will improve. This article appears in the proceedings of the 2012 Western Veterinary Conference, which took place February 19-23, 2012 in Las Vegas, Nevada. It has been reprinted with permission from the author. 1. Nachreiner RF, Refsal KR, Graham PA, et. al. : Prevalence of serum thyroid hormone autoantibodies in dogs with clinical signs of hypothyroidism. J Am Vet Med Assoc. 2002 Feb 15;220(4):466-71. 2. Lederer R, Rand JS, Jonsson NN, et. al. : Frequency of feline diabetes mellitus and breed predisposition in domestic cats in Australia. Vet J. 2007 Dec 20. 3. Goldstein O, Zangerl B, Pearce-Kelling S, et. al. : Linkage disequilibrium mapping in domestic dog breeds narrows the progressive rod-cone degeneration interval and identifies ancestral disease-transmitting chromosome. Genomics. 2006 Nov;88(5):541-50. 4. Parker HG, Kukekova AV, Akey DT, et. al. : Breed relationships facilitate fine-mapping studies: a 7.8-kb deletion cosegregates with Collie eye anomaly across multiple dog breeds. Genome Res. 2007 Nov;17(11):1562-71. 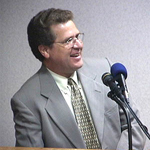 Jerold S. Bell DVM is a Clinical Associate Professor and Director of the Clinical Veterinary Genetics Course for the Tufts Cummings School of Veterinary Medicine. His full biography can be found at the AKC Canine Health Foundation website, where he serves on the President’s Council.